As part of my internship with Biogas Rumah (BIRU) in 2018, I was lucky enough to visit multiple bio-gas reactors throughout Central Java. 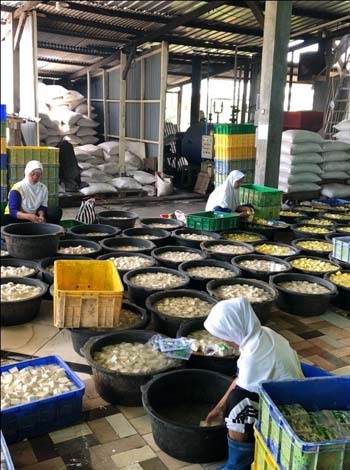 However, the biogas reactors at Pabrik Tahu Sari (Tofu Factory) in Cokro, Tulung, Klaten Regency, Central Java, were by far the most successful that I had encountered. I met with Pak Suyoto, the factory’s production manager on a cool Wednesday morning in April to learn about how his workplace was turning its waste into clean energy. With a smile on his face, Pak Suyoto explained to me that the two 12 m3 biogas reactors adjacent to the factory and rice paddy field were providing several benefits for his workplace. “Since we had the bio-gas reactors built in 2016, the benefits from biogas has been enormous, not only from the free gas we use to boil our soya beans, but also from the bio-slurry left over to fertilizer the rice paddy next door,” Pak Suyoto explained with a spring in his step as we strolled the factory floors. 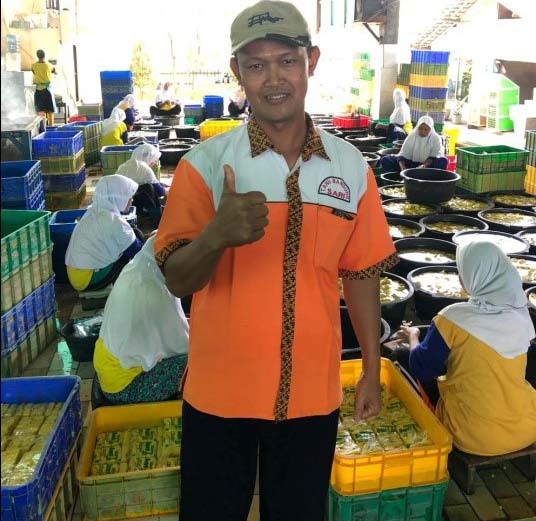 Pabrik Tahu Sari is a commercial tofu factory producing a whopping 1.6 tons of tofu every day and employs over 45 locals from the village nearby. 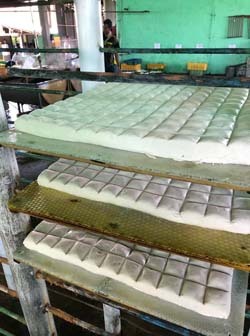 The source of energy that feeds the bio-gas reactors is the byproduct from the tofu production also known as the whey. As the Soya beans are boiled down and cut into tofu sized pieces, the nutrient dense residue left over spills onto the floor and flows into the biogas inlet. 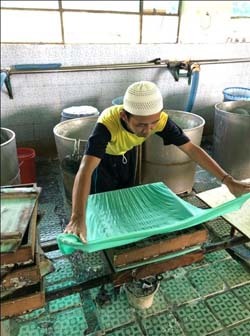 There, the waste undergoes a chemical reaction producing gas, which is then used to boil more soya beans. It was great to see this initiative from a big business that utilizes bio-gas on such a large industrial scale. Pak Suyoto also explained that using bio-gas makes him feel happy because his workplace is not harming the environment. “We only use LPG now when we absolutely have to, and that is rare,” he said. Not only do they use the biogas as the main fuel source to boil the tofu, they also have plenty of bio-gas left over to boil the water for their tea breaks.